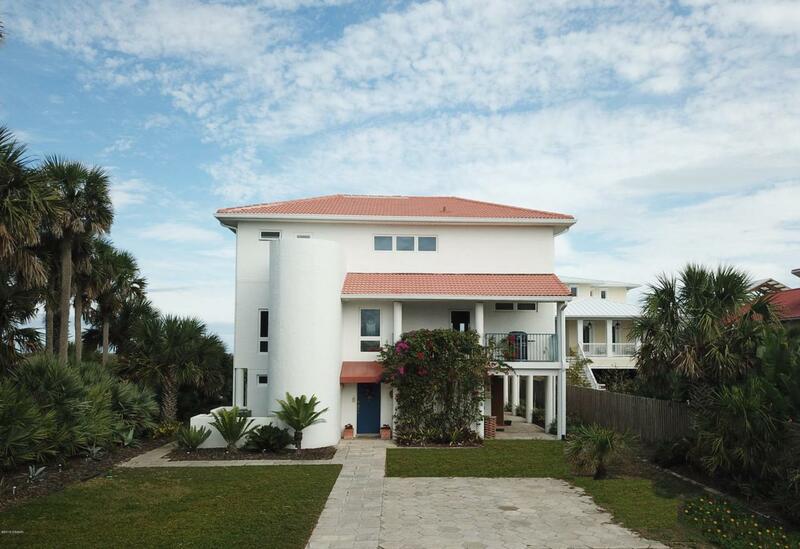 Mediterranean Style Oceanfront Home on Quiet North Beach Street. 1.17 Acres ownership to mean high water line. 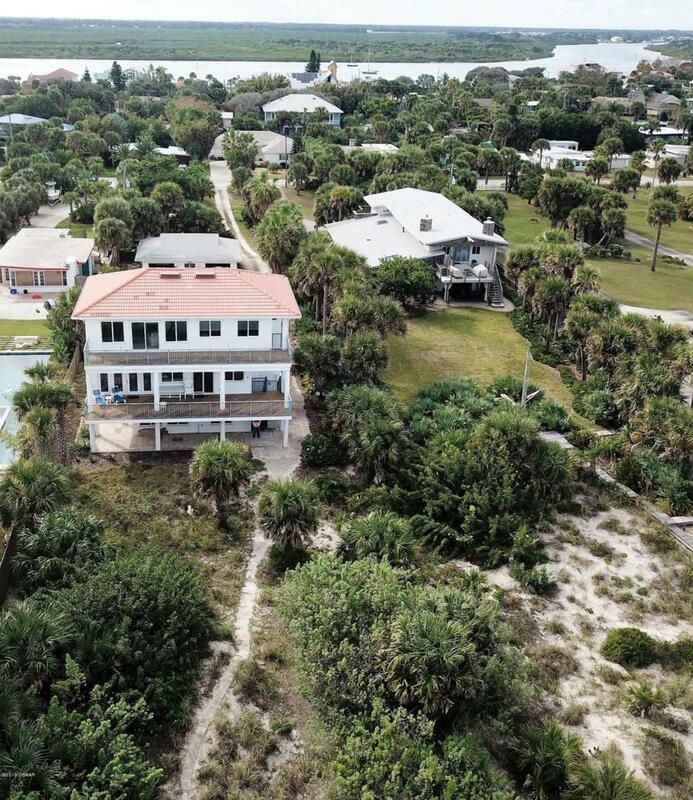 Views of the beach and Atlantic Ocean from the third and second floor level living area along with doors to the oceanfront decks. Third floor master suite with two person study. Soaking tub in MB with ocean to sky views. 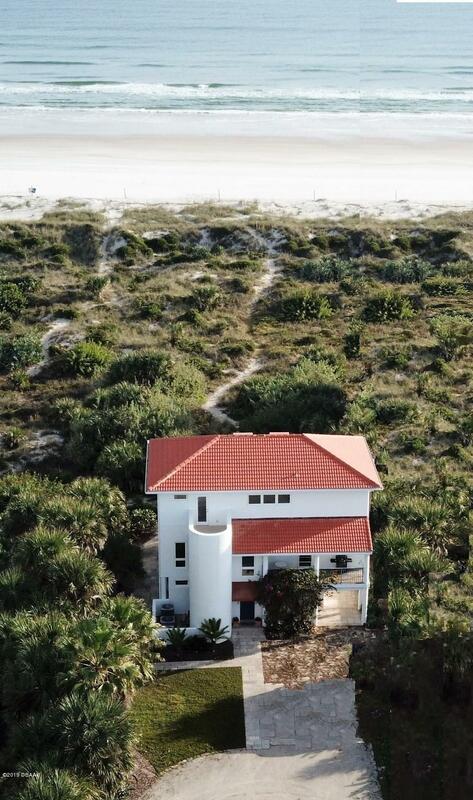 Lower floor offers views of the private dune area & private path to the beach. Great room concept in living dining and kitchen area. Separate kitchen deck is plumbed for gas grill. Library/guestroom with built-in shelves located off 2nd floor living area. House has Natural gas for dryer and tankless hot water. RV parking with 30 amp exterior receptacle for RV hookup. Detached 832 sqft garage and separate utility shed. Concrete Barrel Tile Roof. Room for pool. 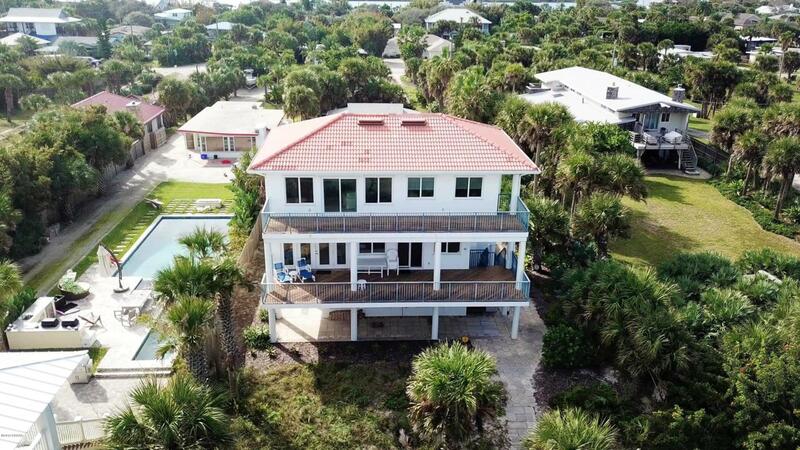 Listing courtesy of Franci Davis of Coastal & Country Properties.